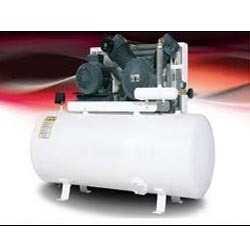 Prominent & Leading Exporter from Mumbai, we offer air compressors for automobile. We are offering of Air Compressors for Automobile. A-1 Offer low cost, Low pressure , Single stage , Air cooled , Lubricated most useful Air compressors. It gives more volume @ 5 -7 Kg/cm2 working pressure.The simple design makes A-1 Single stage compressor, the most powerful machine for ozone plants, spray painting, textile units for cleaning , service centre , Tyre servicing & other uses.Our quality controllers perform a series of test on various parameters, in order to ensure the quality of these compressors. Looking for “Air Compressors for Automobile”?